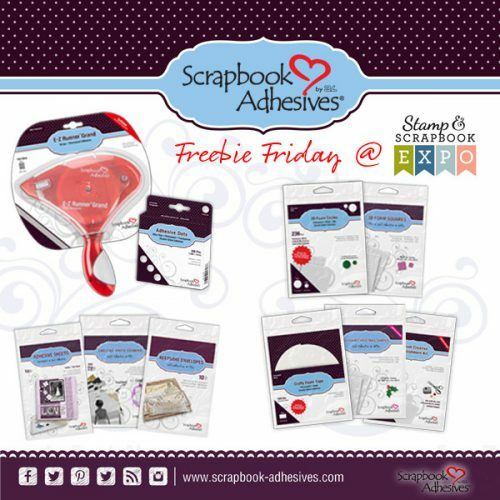 Today we have a quick note to let you know about Freebie Friday on the Stamp & Scrapbook Expo blog today. We’re sponsoring this adhesive prize! VISIT HERE & Enter to Win: Freebie Friday Giveaway! This contest has ended, congratulations to our winner, Kerry P! Don’t miss this giveaway with Scrapbook and Cards Today Magazine! Enter through September 6, 2018. This entry was posted in Announcement and tagged Giveaway, Scrapbook Expo. Bookmark the permalink. 45 Responses to "Freebie Friday Giveaway with Scrapbook Expo"
Love th EZ Runner Grand. So happy to see you have this so I can get refills. Love this stuff…can’t make a card without it! “Stick” me in for a chance to win! Wow, went looking through your blog and love all the ideas, especially the heart one. Love your products. I buy Scrapbook Adheasives all the time. I love love 3L products!!! Great giveaway! Love these adhesives! Oh my gosh, I love the EZ tape runner. I have gone through at least 6 of the refills since last year. I am going through old photos from my Mom, Dad and Grandparents. I have made 3 albums and am working on another one. The tape runner keeps me taping papers, pictures & memorabilia for a long time. I don’t have to constantly stop and change cartridges. Great stuff. These adhesives are awesome!! Thanks for the chance to win them. Love these products! Use them all the time. Thank you so much for sponsoring this giveaway! Love your products and use them daily. There are so many types that I use with just one project! Thanks for the opportunity to stock my stash! Have not used your products but would love to have the chance. Always use your products and list them in my supplies! Would love to WIN some! Thank you for the chance! What a fabulous prize! thanks for the opportunity to win some for FREE!!! Scrapbook adhesives is awesome. Love the products! Love all of your adhesives. Love your products and entered to win some freebies over at Scrapbook Expo. This is the only adhesive I use. I teach a group of 80+ yr. young women and the adhesives work wonderfully for them. The contact staff is wonderful to work with also. I love all your adhesive products! I love you adhesives! All the different sizes and colors make the so versatile. And they stay stuck!!! 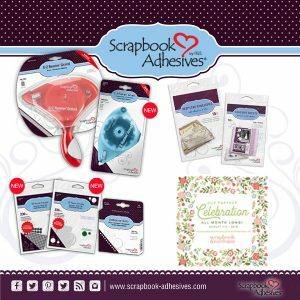 Love the ideas from Scrapbook by 3L Adhesives and the products! My Favorite Adhesives! Thank you for the opportunity! What a wonderful give away! I love your adhesive. Love your products. Thanks for the opportunity. Awesome prize!!! Love the keepsake envelopes and can’t wait to try the new black circle foam dots! Thanks for such a wonderful prize! Would love to win! Awesome products – always very innovative with new and different items. I’m “sticking” around for this – I love your adhesives!